The second half of the DC/CW’s mega-event wasn’t quite the cavalcade of delights as the first, but that doesn’t mean it wasn’t fun as hell. 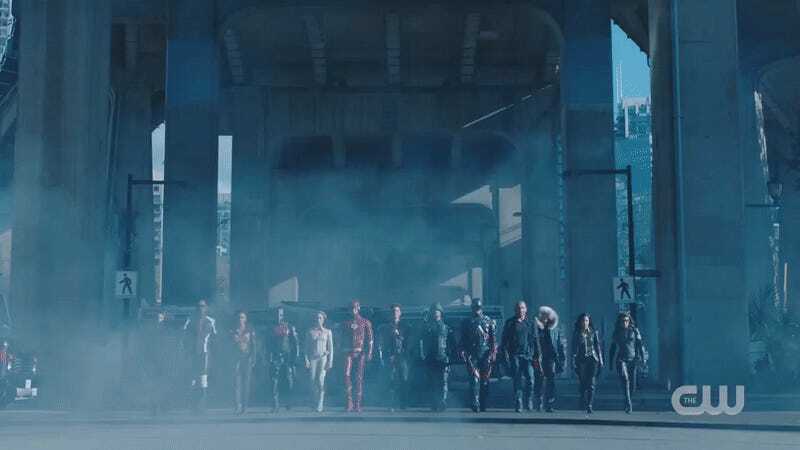 Here are our favorite moments from the massive, live-action superhero crossover everyone was talking about (well, until about 8:30 am ET this morning). Arguably the most delightful revelation in the entirety of Crisis was that the love interests of Green Arrow and the Flash can kick as much Earth-X Nazi as anyone with superpowers. Not only do they escape Black Arrow and his guns’ invasion of STAR Labs by going into the vents, John McClane-style (he wishes he had vents that big! ), they punch out several armed Nazis and rescue Supergirl before she becomes an unwilling heart donor for Overgirl. Don’t hold the fact that they got caught against them, because it’s not like Nazis didn’t capture all the other heroes, too. Look, we honestly didn’t catch the evil Earth-X Papa Lance’s real title, but that’s possibly because actor Paul Blackthorne was clearly having the time of his life playing someone so unequivocally, unapologetically evil. From his utterly unnecessary choice to speak with a German accent to his sneering exultation when he catches our Ollie pretending to be evil Ollie, Earth-X Lance was a perfect villain. 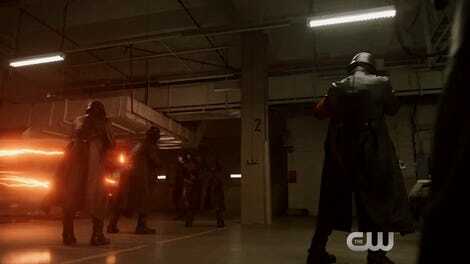 Anytime Wentworth Miller’s freeze-gun-toting Leonard Snart stops by, you know you’re in for a good time. But when Earth-X’s Captain Cold bursts onto the scene to save our heroes, it’s the start of something wonderful. For no reason at all, Earth-X’s Captain Cold is not only a hero, but a man who’s extraordinarily sensitive and in touch with his own feelings, the exact opposite of his late Earth-1 counterpart. He’s in a committed, loving relationship with new hero the Ray. He keeps asking people about their feelings. When the battle is done, he demands Flash give him a hug. The best Captain Cold moment, though, absolutely needs to be called out on its own. This sensitive, caring Snart makes Mick utterly miserable throughout the episode, since the doppelgänger is so different from his former partner. 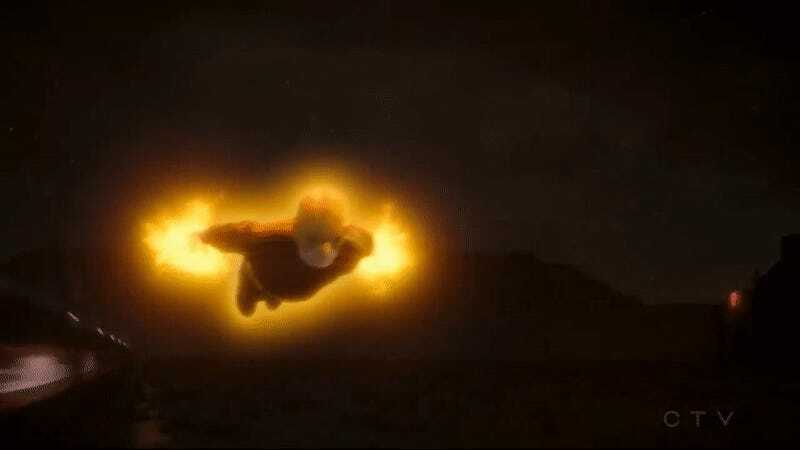 But it’s when Snart explains how the heroic Earth-X Heatwave died that’s truly priceless: He died running into a burning police station—repeatedly—to heroically save cops. This makes zero sense (are there actually cops on Earth-X that are good guys? ), but the expression on actor Dominic Purcell’s face makes it worth it. He legitimately looks like he’s going to vomit. Honestly, the fact that Earth-X had a spaceship that could travel through time should have had a much bigger impact on the plot. All it was used for was to have a small dogfight with the regular Waverider in the present. But the appearance of the red-and-black, evil timeship did make us drop our jaws, and then grin. Speaking of surprise appearances, the wind-generating android showing up as the ultimate weapon of rebellion leader Winn Schott (whose badass, battle-hardened Earth-X version was a delight all on its own) was great. 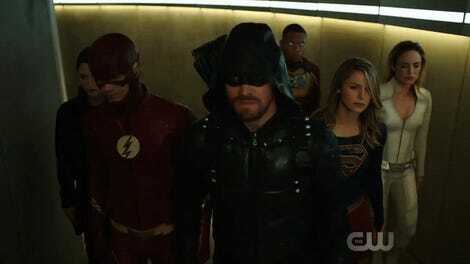 Red Tornado only made a brief appearance in Supergirl season one, so his arrival was completely unexpected—and his fight with the Flash and the Ray was hella fun, too. This isn’t a delight, exactly, but something we still need to talk about. Eobard Thawne’s involvement in Earth-X’s invasion was confusing at best—Thawne just hates Barry Allen, not the world—as was his declaration that he’ll be fighting Superman at some point in the future. Thawne is from the future of Earth-1 which, as far as we know, has no Kryptonians on it whatsoever. So will Thawne be fighting Kara’s Superman, or is there a Superman coming to Earth-1 at some point? We all saw it coming, but that didn’t make it hurt any less. Martin Stein (Victor Garber), half of the hero Firestorm, is shot by Nazis trying to open the transdimensional gate so the heroes trapped on Earth-X can return home. Crisis cruelly (to viewers) extends his death so that Garber can get the ultimate of farewells, a truly heartbreaking scene further cementing the father-son relationship between the two as Stein takes the Firestorm cure, saving Jax (Franz Drameh), but ensuring his own death. 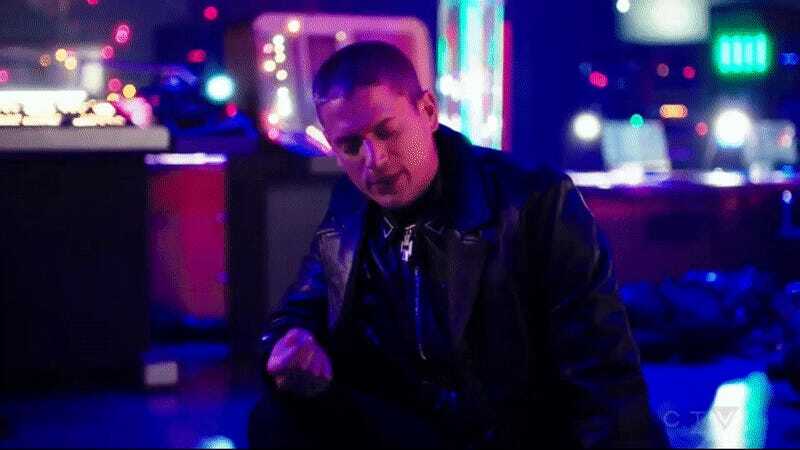 And just when you thought it was over they had Jax go break the news to his wife and daughter. And then the funeral. Like the surving half of Firestorm, we were also complete messes. Obviously, “delightful” may not be the right word here, but Crisis sent Stein off exactly right, with as much pathos as the beloved character deserved. But it still wouldn’t have worked with Drameh’s fantastic performance as Jax here. He is devastated, he’s lost without his mentor, and his guilt at asking Stein to stay on the Waverider at the beginning of the season is palpable. Plus, he’s a messy crier, which makes his loss feel even more real.